Portland, Oregon is one of those vibrant cities with a small town feel. I recently spent a weekend in Portand visiting relations, and ticked off the main things to do in Portland, in a short space of time. 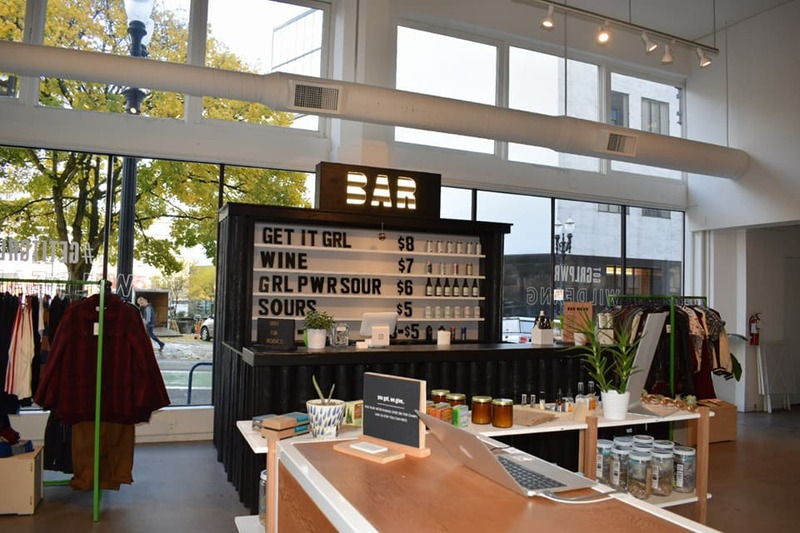 If you have a weekend escape planned to this hipster city( Food trucks, Peanut butter beers, Quirky stores- you get the drill) check out my suggested main things to do in Portland below. Did you even go to Portland, if you haven’t got your hands on the signature pink box to prove it?. It goes without saying, Voodoo Doughnuts is one of the main things to do in Portland. 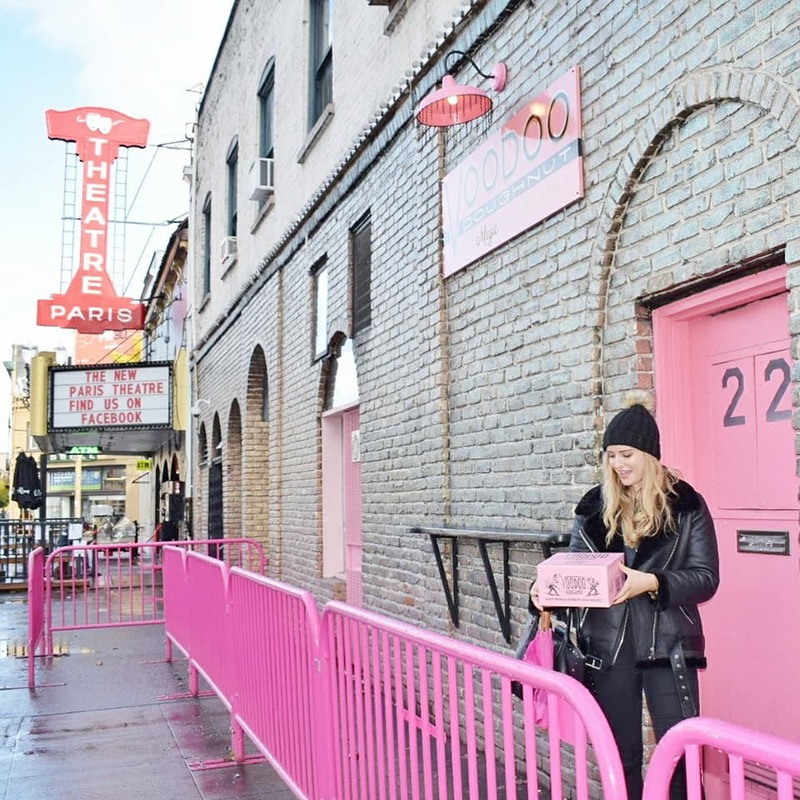 The colourful and quirky environment of Voodoo Doughnuts makes bearing the queues all the easier. 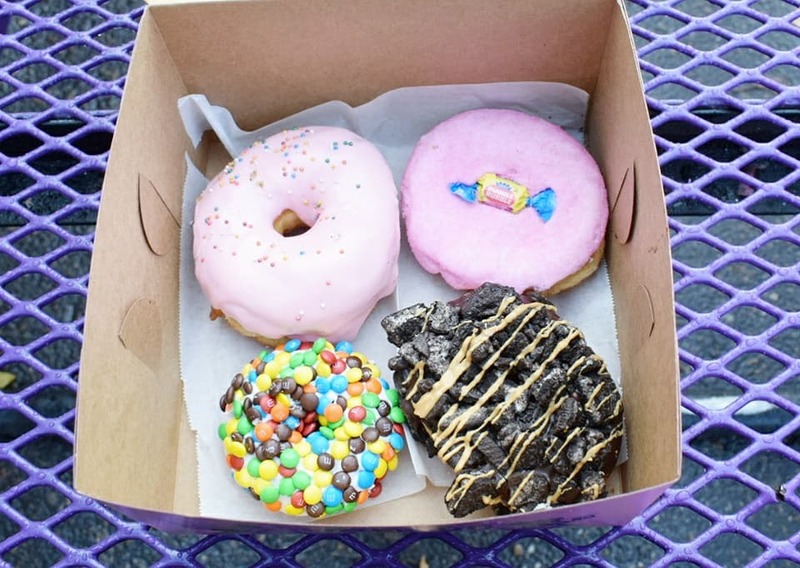 With doughnuts topped with fruit loops, bubble gum dust, and maple frosting with bacon on top, the doughnuts served up at Voodoo are far from mainstream. If you prefer more of a novelty doughnut, they also have some “naughtier” options you can check out. I will say no more. 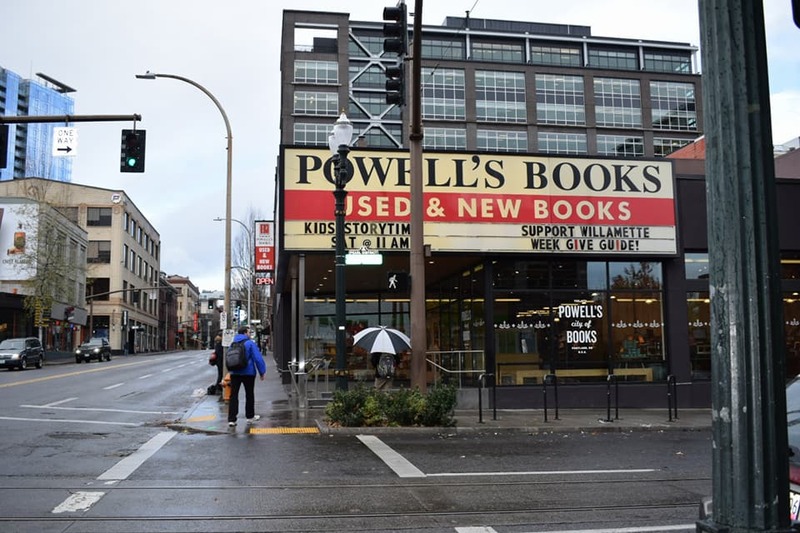 Another main thing to do in Portland is to spend some leisurely time in Powells Bookstore. 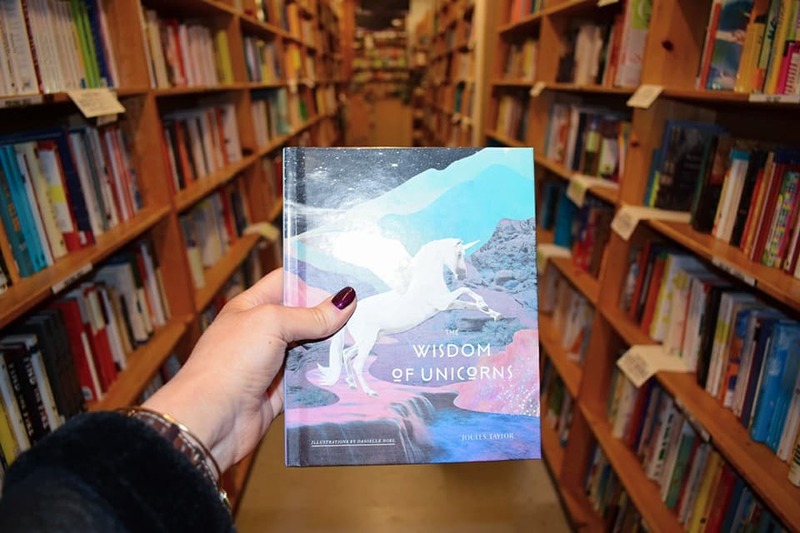 A heaven for book nerds, being the worlds largest independent bookstore. You can spend hours here, exploring the new, used, out of print and rare book finds. A map is provided to help you navigate the store and each section is colour coded based on book genre. Powell’s books cover an entire city block and they even have a coffee shop where you can chill and devour a book with a coffee. If you happen to leave the city of Portland and make it to wine country, stop off at Siltstone Winery for an authentic wine tasting experience. 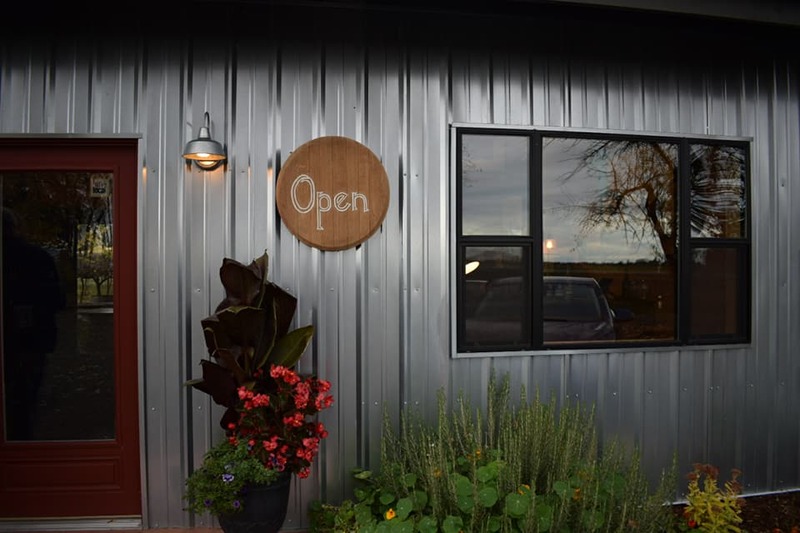 The tasting room is located on their Blacktail Vineyard in the cutest little wine shed. The tasting flight costs $6.00 and you gain a wonderful knowledge of the wines and the history of Siltstone itself. Of course in the area, they are lots of other wineries to try, however, i am drawing attention to Siltstone for its rather unique setting. Their 2016 Owl Ranch Sauvignon Blanc is a beauty! The main thing on my list when I go to a new city, is a scavenger hunt for the best murals. I had a limited amount of time and a lack of wifi which does make sourcing murals quite a task. However i did find some of the most colourful walls, located over the Burnside Bride where you can also catch a glimpse of the famed White Stag sign. 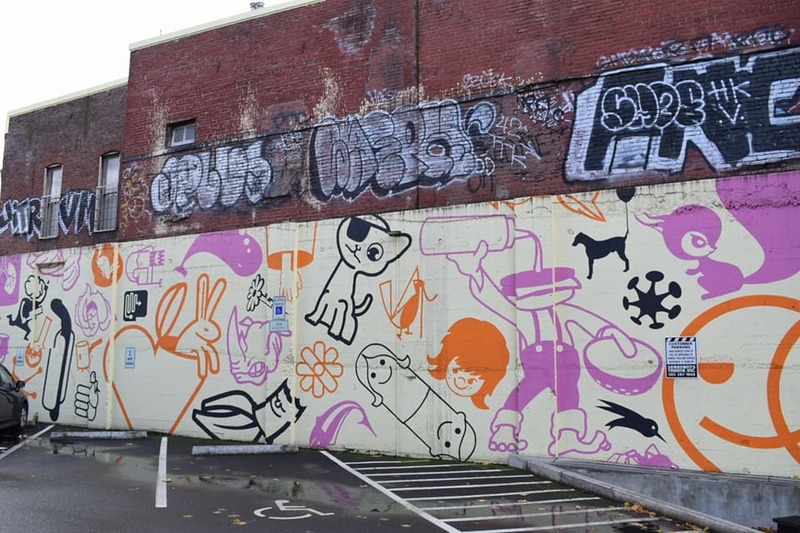 Here are some of my favourite mural finds from Portland. 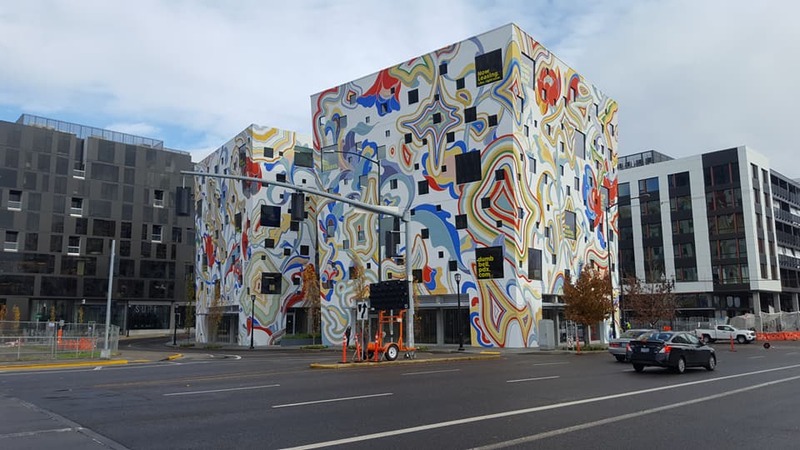 The “Keep Portland Weird” mural is in a prime spotting location, across the road from Voodoo Doughnuts. 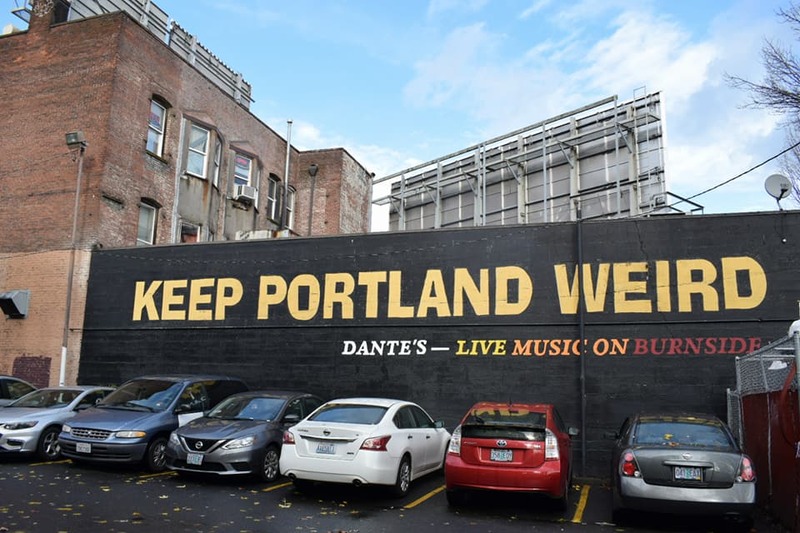 This iconic mural is the slogan which Portland lives by. The people of Portland fully embrace the weird and wonderful and hey, i think we could all embrace that a little more. I almost feel that the rubbish bins add to the vibe of this mural. 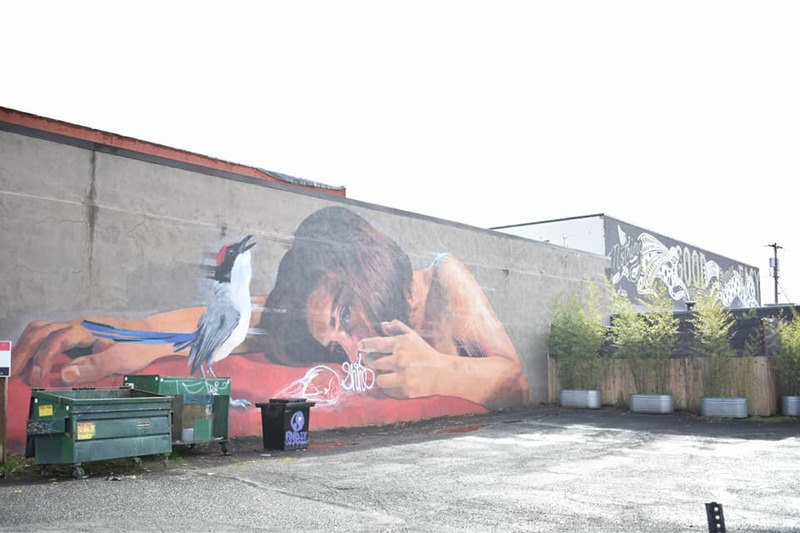 This mural of a woman and a bird was created Jade Riveria, a famous muralist who creates murals all over the world. This building caught my eye as I crossed over the Burnside Bridge, immediately demanding attention from passers-by. Cats, bunnies, birds, and rhinos are all mixed mashed into this fun mural located on Pine St.
Wildfang is one hell of a store. Offering clothes that are based on the notion of raiding your man’s wardorobe. 100% a feminist badass store with a noticeable tomboy feel. I particularly adored the in-store bar and swings section. Another main reason I was drawn to this store, is because the owner is an Irish lady, Emma McIlroy who’s TEDx talk I watched before going there. Gotta love these inspirational Irish ladies! Located between Southwest Alder St and Washington St, is the largest collection of food carts in Portland. 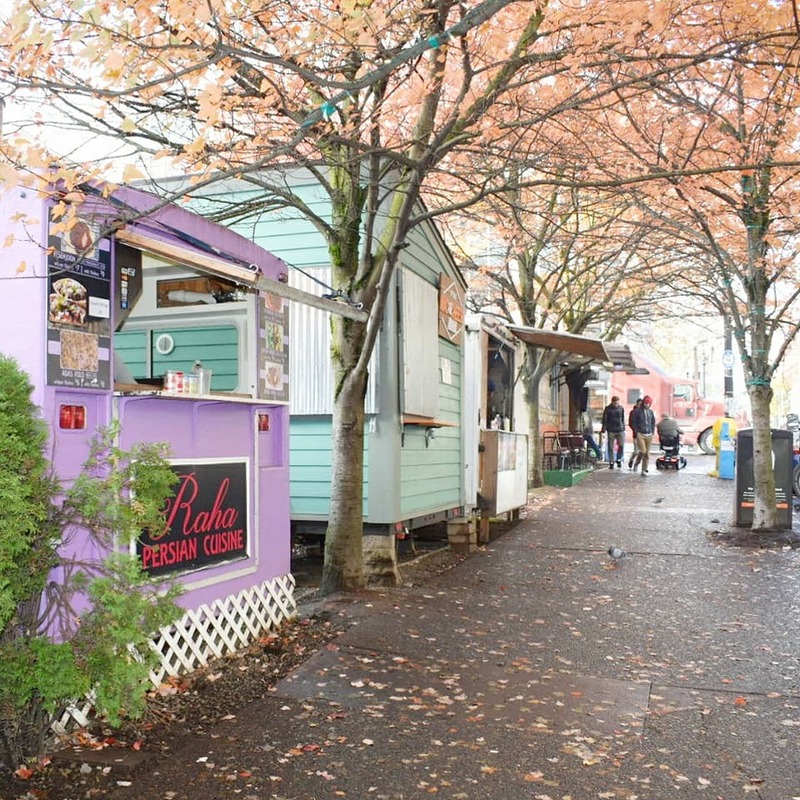 Better known as the Alder St Food Cart Pod, offering every kind of cuisine you can imagine. Arrive with an empty stomach and sample as many different foods from as many carts as possible. You won’t regret it. So there you have some of the main things to do in Portland over a short weekend. If you have more time to play with, then there are endless things to do in Portland. Enjoy! 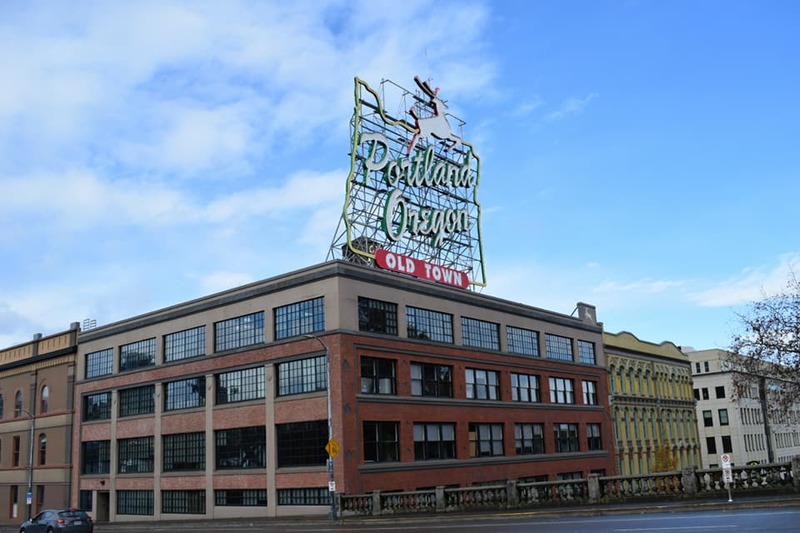 What’s on your list of main things to do in Portland? Why not also check out my Vancouver guide on the main things to do on your first few days in the city.